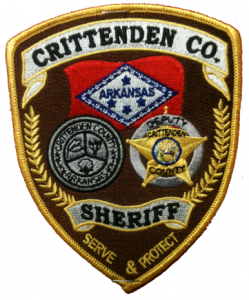 The Crittenden County Sheriff’s Office is proud to announce the addition of QuikTip to its tool chest in the fight against crime. Teaming with Relativity, Inc. of Jonesboro, a Government and Public Safety Solutions Company, to host QuikTip, an app that allows for two-way communication between the sender and the Crittenden County 911 Dispatch Center. The app is free to download for tipsters and is easy to use. Through this app, safety personnel are now able to chat directly with tipsters, while the person sharing information remains unidentifiable. Users can also receive Emergency Alerts (weather, highway accidents, etc.). The anonymous information provided is sent to the 911 Dispatch Center who reviews the tip and either responds directly to the sender, or refers the information to someone who can help (24 hours a day/7 days a week). A user sending a tip that results in a felony arrest and is eligible for a Crime Stoppers reward, will be given a phone number to call and collect up to a $2,000 reward through Crime Stoppers. To get started, simply download the QuikTip App and select Crittenden County Sheriff. This entry was posted in Uncategorized on May 15, 2014 by quik-admin-woohoo.